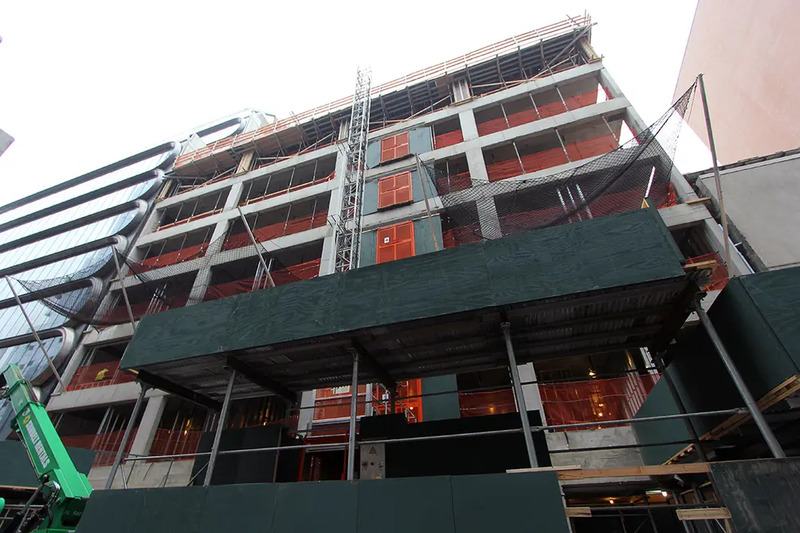 It’s been some time since we checked in on West Chelsea’s forthcoming condominium Jardim. Since we covered its sales launch in spring 2016, the two-building complex has nearly risen and signed several of its 36 apartments into contract. 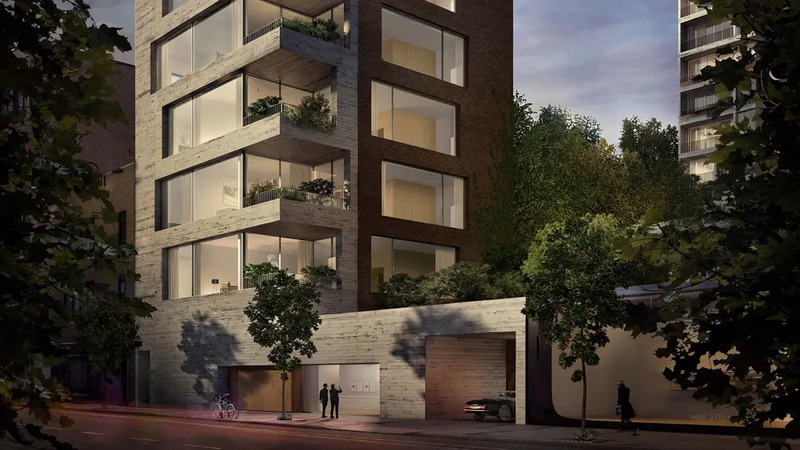 Jardim is located midblock at 525 West 27th Street, shouldering Zaha Hadid’s fluid wave of condos at 520 West 28th Street (talk about competition). 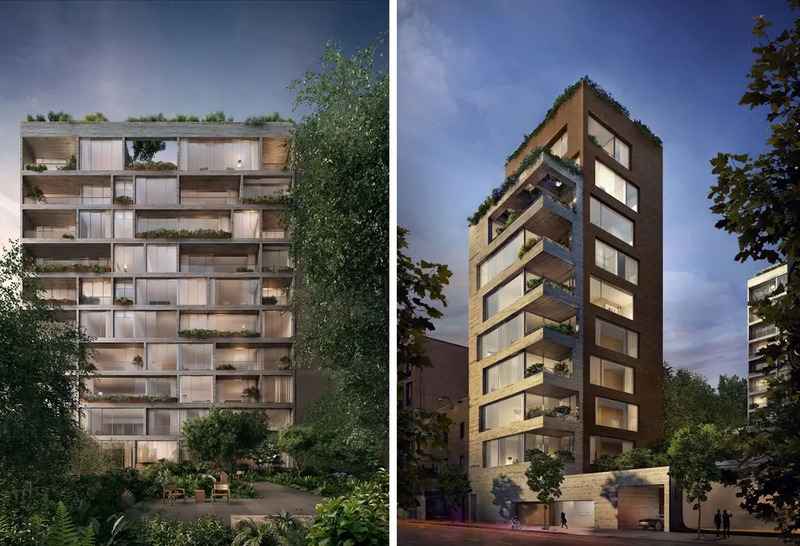 Co-developed by Centaur Properties and Greyscale Development Group and designed by Brazilian architect Isay Weinfeld, Jardim's name comes from the Portuguese word for garden. The understated urban sanctuary is composed of two differently-styled buildings that cushion a vegetated courtyard. According to the development’s updated website, its two buildings are directionally named Jardim Norte and Jardim Sul. Oddly enough, a rendering has never been published of the north building’s street-facing elevation but a new diagram shows that it will be composed of punch-hole windows on its first seven floors and lots of glazing above. The buildings will be clad in warm-colored concrete and will be richly-textured with the subtle imprints of timber planks. 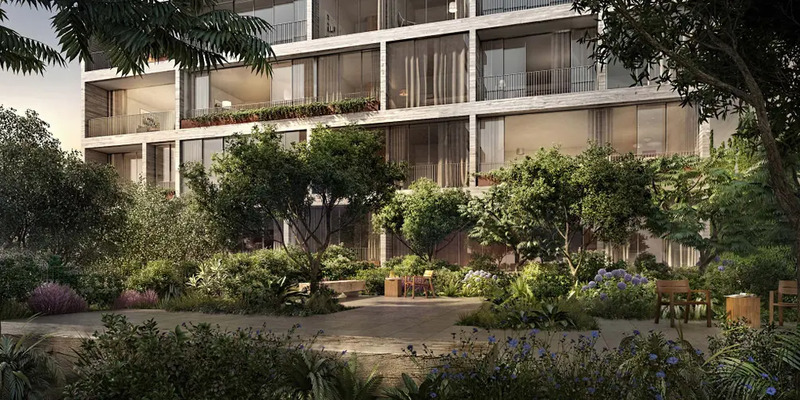 Conceived as an extension of the outdoors, homes will feature an innovative floor-to-ceiling door and window system that neatly retracts into adjoining walls to invite residents out onto their spacious terraces. Calm and muted colors define the interiors. Kitchens are sheathed in honey-hued American oak, with matching Italian-made cabinetry by Molten. Baths feature oil-finished oak vanities and wainscoting, graphite marble walls and floors; vanity tops counterbalance brass faucets and rain showers. The south tower’s two duplex penthouses named "Grand" and "Crown" are three-bedroom homes with expansive great-rooms, separate kitchens, and private terraces. The Penthouse Crown features its own private roof deck with a plunge-pool and wet bar. The multi-level gardened courtyard is designed in collaboration with New York landscape architecture firm Future Green Studio. The oasis is meant to serve as a contemplative focal point for Jardim’s residences. Contrasting to the formal and sparsely-planted private gardens of the Apthorp and Belnord, renderings of Jardim’s courtyard depict a heavily-vegetated almost jungle-like space. Additionally, two sketches on the website show there will be a pastoral stone-faced staircase leading up to the garden. Currently, five homes are listed for sale. 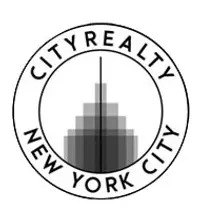 A one-bedroom 758 ft² is priced at $1.96 million or $2,586 per square foot. 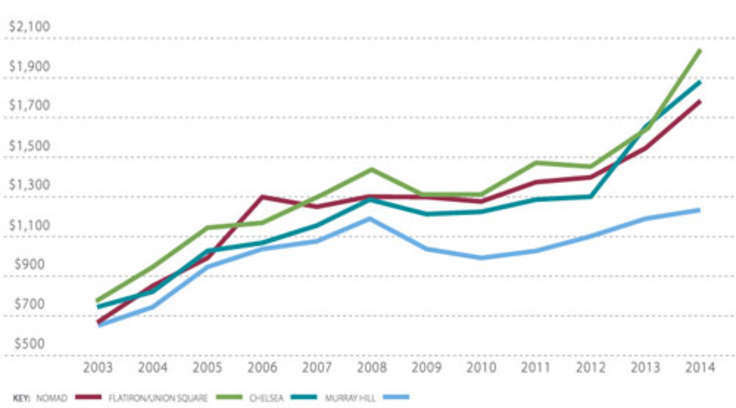 A two-bedroom is priced at $3.955M, three-bedrooms start from $4.65M, and a 4-bedroom is listed for $7.155 million. Aside from its glorious garden, building amenites include a full-time doorman, a fitness center with a swimming pool, a children’s playroom, a garage, and a bicycle room. Our one tiff with the building is its un-New Yorkness and how its secludes itself from the city’s street life. Its chief street-level feature is a long dark driveway after all. Nevertheless, for those buyers who abhor the constant noise and grit of the city, yearning for a Brazillian-styled refuge —your Jardim awaits.